A little too tight. Would have preferred slightly more leg room. 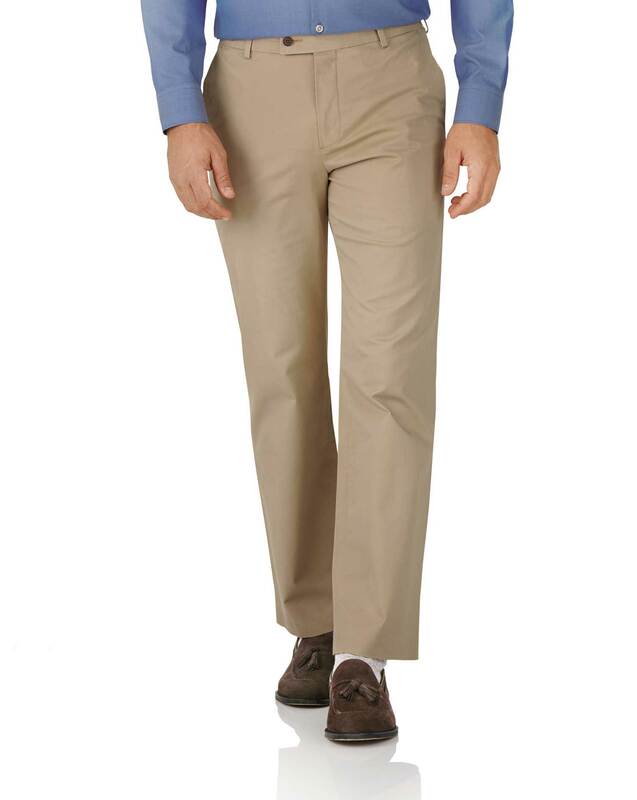 Response from Charles Tyrwhitt: I am sorry to hear that your Chinos are not quite the perfect fit we would hope for, but we appreciate your feedback. Please feel free to exchange these trousers should you find them to not be suitable, as we would wish for you to love and make use out of each and every item in your wardrobe. Response from Charles Tyrwhitt: Thank you for your feedback. I can only apologise that you never received the exchange you wanted, due to some technical issues we never received your returns instructions. I can see you have made a new order. I hope you are 100% happy with this order once it arrives. Look great on. Greatly increase the chance for coitus with my wife. Solid construction. True to size and fits very well.